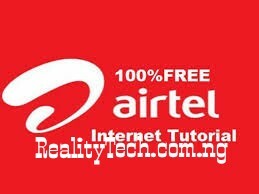 Hello guys, it actually been a while now well I am back with something new for you guys From LoyalTeams Forum to enjoy and it is not free browsing this time around and it all about getting free airtime for yourself and it works like magic lol. So this free airtime is actually based on a certain app in play store known as musicplus and if you can remember that musicplus has been one of the unforgettable cheat we had then and has really help a lot us during year 2016 which was blocked later by MTN. And Get Your MTN ready to receive airtime. This free airtime is stricly for MTN user line and can't work with other networks as the app is an official MTN app. And also, remember those MTN sims we used back then for mtn musciplus free browsing cheat that was rocking flawlessly then with simple server as psiphon. Make sure you get your Sim back as they're the one with greater point which can later be converted to free airtime. After ,you've downloaded the app, register your number on the app and then wait for code comfirmation. After you've receive the comfirmation code input it into the provided box to get yourself comfirmed and there you get to log in into the app. Make sure you've 0.0k (zero balance) on your MTN. Open the downloaded musicplus app, then click on music plans, right there susbscribe to the 30 day plan. Each and every time you do it, you will be rewarded with 1000 points which will be added to your bonus point. The process is very simple and straightforward. Just opme your musicplus app and click on the top icon of your profile and locate bonus points. Click on your bonus point to convert your accumulated point to artime. And the maximum and minimum amount of airtime you can simply cash out from this = N100 and N50. This process can be repeated as long as you've the required point to cash out the artime. You can also interchange your sim if you 2 or more mtn sims, you only have to log out from the app and that's all and use another number to accumulate more points. Here is the screenshot proof for stubborn head.